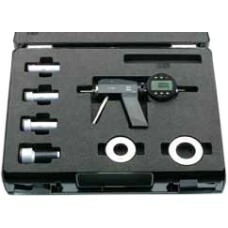 The 844 A Series Mahr Federal Pistol Bore Gage Sets are on sale at Gaging.com! 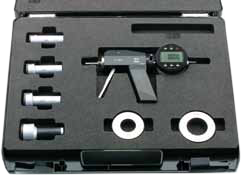 Mahr Federal’s 844 A Self Centering Pistol style bore gage in kit form provides a versitile set for measuring many of your high precision bore gage applications. Self-centering measuring head consists of 3 laterally positioned anvils, each are offset at intervals of 120°. 844 A Series (Full Sets) The 4487760 Mahr Pistol Bore Gage (Full Set) is on sale at Gaging.com! ..
844 A Series (Full Sets) The 4487761 Mahr Pistol Bore Gage (Full Set) is on sale at Gaging.com! ..
844 A Series (Full Sets) The 4487762 Mahr Pistol Bore Gage (Full Set) is on sale at Gaging.com! ..
844 A Series (Full Sets) The 4487763 Mahr Pistol Bore Gage (Full Set) is on sale at Gaging.com! ..